I’m pleased to see that Birmingham is in the running for City of Culture 2013. I was disappointed when they lost out to Liverpool in 2008, though Liverpool has made the most of it and it’s clearly been a successful venture. Actually, the UK is not due to host another City of Culture until 2032 (because of the expansion of the EU), but the Department for Culture, Media and Sport has decided to “bring the competition closer to home”, as well as to emphasise that “excellence and innovation in the arts does not begin and end inside the M25”. The UK is good at celebrating its culture, generally speaking, and has some amazing arts events to offer, so anything that encourages and supports this seems like a good thing. The shortlist for City of Culture 2013 includes Barnsley, Carlisle, the whole of Cornwall, Durham, Sheffield and Derry. Obviously I can’t comment on the relative merits of these places (though having the whole of Cornwall up against some quite small cities seems unfair!) But Birmingham, I hope, is well-placed, both geographically and in terms of its commitment to the arts. The Birmingham Repertory Theatre is about to undergo a major facelift along with the building of a spectacular new public library; the Rep puts on a wonderful programme of plays and other events every year, while the library is fantastically well-stocked and has informative and helpful staff. We have other theatres, of course – from the Alexandra, which has a lot of big musicals etc, to the Hippodrome, home of Birmingham Royal Ballet, and the Crescent, which puts on smaller plays, not always professional but always interesting. 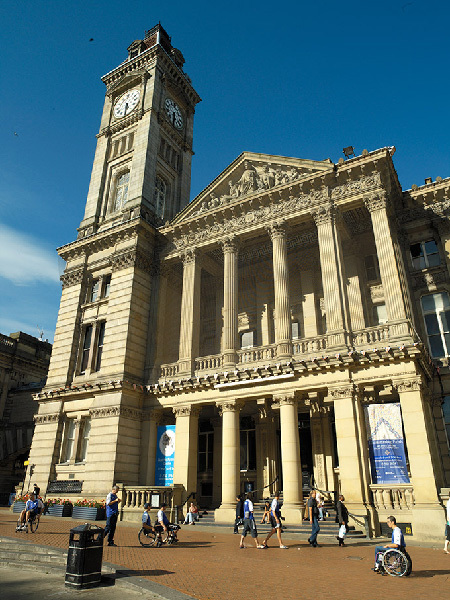 There are some brilliant concert venues here in Brum, and, of course, Birmingham Museum and Art Gallery, with a wonderful collection of Pre-Raphaelite paintings. If to these amenities was added a further range of public cultural and artistic events, Birmingham would become an even more exciting place to be. I’m looking forward to seeing what happens next, and what moves the council makes to ensure our bid is successful. There is a website with more information about Birmingham’s bid for City of Culture, where you can have your say – have a look at http://www.birminghambigcityculture.com/. The “C of C” designation is new on me, Serena, as a clueless American. (If you’ve ever watched U.S. reality TV, you’ll know that all our cities are cities of culture. Primitive culture, anyway.) But what strikes me the recent tidal wave of competition for blue-ribbon designations among cities, regions and “heritage” sites by institutions like UNESCO, the Olympics, the E.U. and so forth. What drives it? Trends like branding, I suppose, globalization. Might as well add the internet, since that goes on every other list. Thanks for the update from B’ham. Yes, it’s very much a European thing (though there are parts of the US that I’m sure would definitely qualify!) I must admit that in some ways I’m a bit sceptical about it, as a rather forced way of trying to make cities more cultural as well as up their tourist potential, but then, it does have good repercussions (certainly it’s done Liverpool some good, as far as I know) and anything that encourages places to concentrate on accessible “high” culture seems like a good thing to me. I have visited Birmingham about a doyen times in the past five years and I always enjoy the fantastic cultural offerings there. I love the Birmingham Museum and Art Gallery, and saw the Anglo-Saxon gold there during my last visit. I also enjoy the free jazz concert every Friday afternoon at the Symphony Hall. By the way, I would like to add the Birmingham Symphony Orchestra to your list, which is of a world standard. Istanbul id European City of Culture 2010 and I am looking forward to visiting it in May. Hi Paul, thanks for your comment. BMAG is fantastic, isn’t it? And you’re right, the CBSO should definitely be high on the list. There’s obviously an appetite for cultural events etc in Birmingham, so it would be interesting to see what the City of Culture award could add or improve here.